Choosing a video editor software has never been so easy task. There are so many softwares available in the market in both free and paid category. Almost all the softwares are having common basic features like cutting, splitting, adding effects etc. The user experience might be different but functionalities are almost same. But if you are in business like Video Marketer, Bloggers etc. then you need more features. People are making thousands of dollars every month from video marketing but they not only use the basic features but some tricks as well. And that is the difference between common marketer and pro. But generally the video editors those provide advanced features are hard to use. So today I am going to talk about a video editor which provides great functionality and most importantly this is very easy to use. If you are looking for an easy to use video editor with great functionality and at affordable price then you must try iSkySoft video editor. • This software lets you combine video, audio and photos and turns them into a movie effectively. • Add different transition effects inside the video which makes it more powerful. 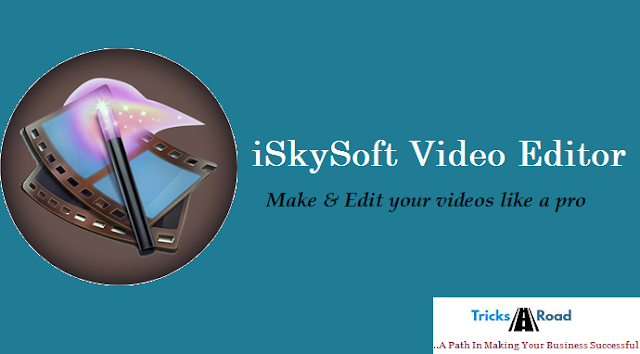 • All types of audios, videos, pictures and other graphics are supported by iSkySoft video editor. • Includes a set of handy editing tools like split, merge, trim, rotate, crop, effect and so forth, allowing you to make whatever edits you like: rotate videos taken with camera held sideways, crop the black sides, etc. • It allows you to upload your masterpiece to YouTube.com right from the program interface. You can also export to iDevices, HTML or almost any other video format you like. 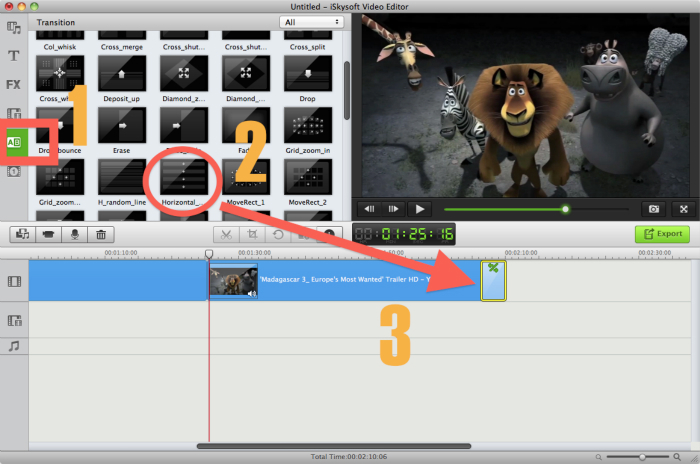 First download the iSkySoft video editor for Mac and install. Don’t worry you can download this for free as a trial. Later if you’ll like this you can buy the full license. As discussed above, iSkySoft is a complete video editing tool which is having all the basic and advanced features. Let me take you to the few easy steps using which you can make a movie. Open iSkySoft video editor and click on file and open your existing project. In the primary window, drag the media files from the resource browser window to the storyboard at bottom. All the imported video clips that you have taken from step 1 will join together one by one without transition by default. To make it switch more smoothly, you can easily drag and drop a transition from the above Transition tab to the area between two clips. Now adjust the video and add the effects as per your need. For photo, you're also able to add motion to make it pan or zoom in/out. For background music, trimming and audio adjustment tools are offered. Now once you’re done with editing video, you can click to preview and export it if you are satisfied. 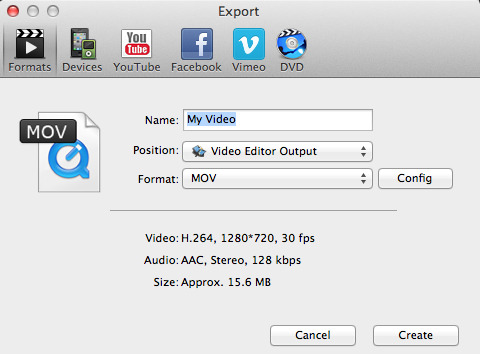 To save your video, click the Export button at the right, and keep your name and select format and save. iSkySoft video editor for Mac is available just for $39.95. Also, you can download the free version of this video editor and enjoy your trial period. • Interactive interface and ease to use. • Includes all basic and advanced video editing tools. • Broad input and sharing formats (YouTube, iDevices, HTML5, and more). • Awesome after sales support. • The trial version will have water mark of the company on the output video. If you’re all set to start video marketing or just want to make a good video for your use then iSkySoft can be a best option. Do try their trial offer and if you’ll find beneficial you can get upgraded any time. Are you using any such video editor? Do let me know in comments.